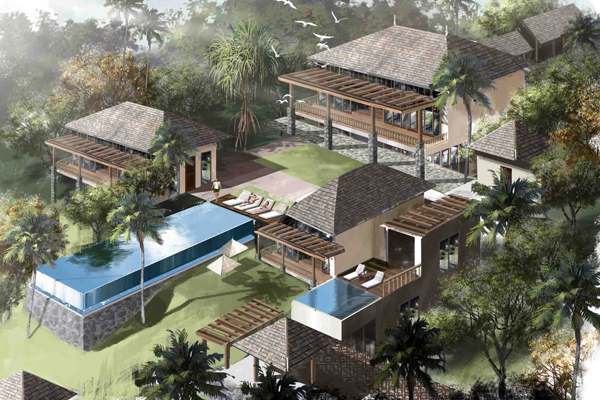 The 50 million dollar project involved Master-planning and Concept planning of luxury modern villas, a resort and club facility with a marina complex. 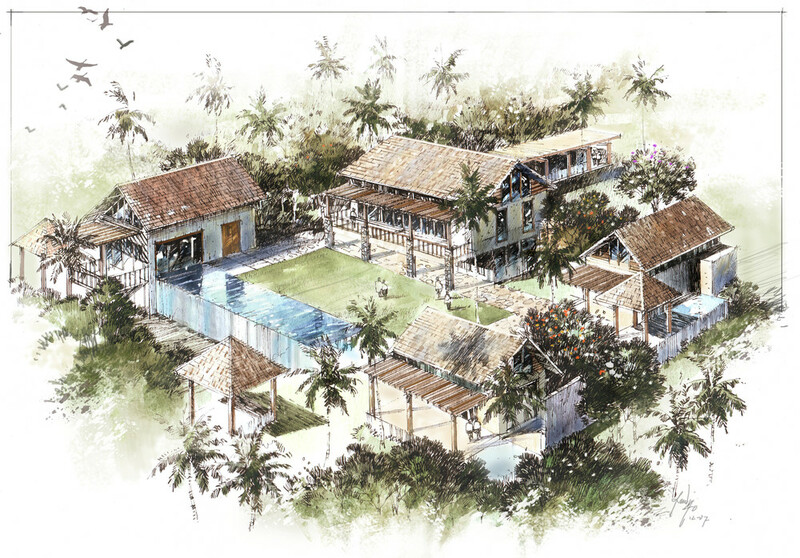 2000 square meters was dedicated to each villa and the design brief also included proposals for a clubhouse with a restaurant and a swimming pool. The architecture was tropical, with a heavy use of timbers and planning that was open and flexible.